Coyne Environmental Services is a specialized division of the George S. Coyne Chemical Co., Inc. and is dedicated to finding solutions to our customers’ treatment chemical needs. 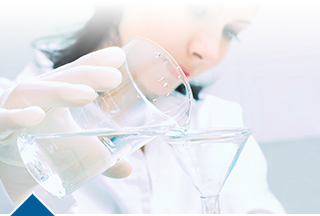 Our connection to Coyne Chemical enables us to offer the most comprehensive collection of treatment options available to assist the potable and process water treatment, wastewater treatment, and groundwater and soil remediation industries in meeting specific treatment goals. We are strategically positioned to provide world-class service and high standards of quality expected by our customers. Our ISO Certification 9001:2015, NACD Responsible Distribution Verification, and vendor quality assurance program address the ever-growing demands and regulations you have to meet every day. Coyne’s in-house laboratory enables us to offer an improved product quality assurance that many of our competitors cannot. In addition, all of our packaging and transloading facilities are NSF/ANSI Standard 60 Certified where required. Our Company goal is building and strengthening relationships with our partners through core values which help us continue to focus on reinvestment and sustainability. Coyne Environmental understands that each application has specific requirements, and we work with you to select the appropriate product or products that best suit your treatment and economic needs. No one offers more products and the expertise to apply them than Coyne Environmental Services.